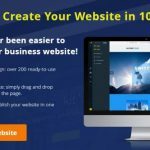 With the popularity of Boostrap, theme developers are looking to see how to use it to develop wordpress themes. This is where bootstrap wordpress framework becomes handy. These starter kits or frameworks provide a base level of codes and resources to make the development of bootstrap wordpress themes much easier. It is also faster to use these framework for development, rather than developing a bootstrap theme and converting it to wordpress later on. It can be done but just takes longer, especially if you are not familiar with the conversion process. Boilerstrap is a wordpress twenty twelve template that already include Boostrap within the code base. This reduces the integration time you need to bring bootstrap into wordpress. The only downside is that the default CSS is that of twenty twelve. So, if you want to work with other types of UI design such as twenty thirteen child themes , you will probably need to do a bit of work. 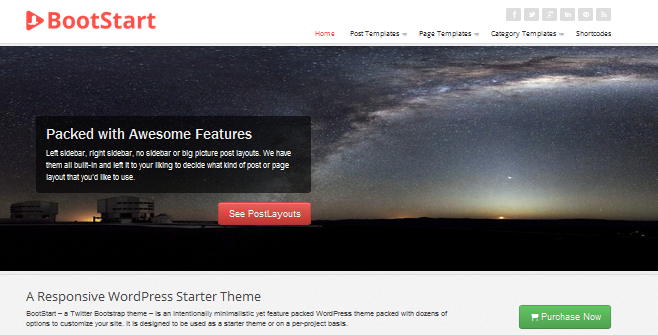 WP-bootstrap is a free wordpress theme that was built from the ground up from Bootstrap 2. There are already page templates and other cool stuff such as shortcodes and homepage carousel. Worth a download just to play around with it. Roots main attraction is cleaning up a lot of wordpress related stuff so that you spend more time writing code, rather struggling with wordpress settings. This bootstrap wordpress framework in built on html5 boilerplate and includes bootstrap. You can of course remove bootstrap and replace it with other CSS framework. Skematik is a powerful wp theme that acutally functions as a bootstrap wordpress framework as stated in the about us section: “Skematik was ultimately made for developers”. Skematik was developed to be fully extendable with lots of bootstrap shortcodes already embedded within the framework itself. The only downside is that it is not free which is why I am not linking to it now. A nice wordpress template that you can upload to your wordpress theme folder and begin your customization work. All the shortcodes and template designs are already contained within this framework so customization work becomes much easier. Bootstart is framework developed by Gabfire and is intended to be the foundation for its future theme released. That is how powerful this bootstrap wordpress framework is. It has lots of templates and shortcodes to cater to most needs and increase your development efficiency. Alienship might be foreign to some but it is solid starter kit for bootstrap wordpress development. Its latest release already uses bootstrap 3 so the framework is very up to date. For a list of features, click on the link to read more. This starter theme has embedded all the bootstrap 3 shortcodes so that coding with bootstrap becomes much faster. There are also templates included in this kit as well as 11 different color themes.